Rosatom proceeds with El Dabaa as planned; “first concrete” will be poured in 2020. According to the project schedule, the first concrete will be poured into the foundation slab of El Dabaa NPP Unit 1 in 2020. 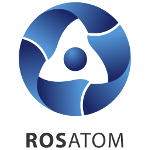 This was announced by Grigoriy Sosnin, Vice President of ASE (Rosatom’s engineering division). The construction work is running on schedule. Engineering surveys were completed on those site sections that are adjacent to the Mediterranean coast. The work to develop the engineering design of the nuclear plant and prepare documents for the licensing process is also in progress. Simultaneously, human resources are prepared for the Egyptian nuclear industry. Rosatom will train nearly 2,000 employees to be engaged in El Dabaa operation and maintenance. These numbers are sufficient to independently run the plant. “We are also working on updating the higher education curriculum in the country to ensure consistent training of young talents for Egypt’s national nuclear industry. Since 2014, the Russian Government has been awarding grants to Egyptian students who are willing to study in Russian universities and major in Nuclear and Engineering,” Sosnin said. The El Dabaa Nuclear Power Plant will have four VVER-1200 reactor units to be constructed on EPC terms. The first unit is planned to be commissioned in 2026. Russia will help Egypt develop nuclear infrastructure, supply nuclear fuel for the entire service life of the nuclear power plant, build a spent fuel storage facility, and assist Egyptian companies in operating and servicing El Dabaa during the first 10 years of operation.